I had promised an announcement a little while back and here it is and just in time for the holidays! This is the first of hopefully many books co-written and illustrated with my dad and brother. 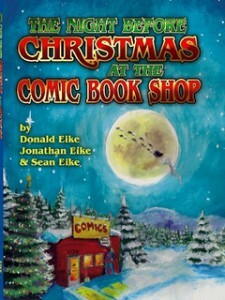 The book is a “geek culture” flavored parody of “The Night Before Christmas”. Lots of unofficial-maybe cameos and “easter egg” gags. Fun for all ages, you can download it today at Amazon or buy the hardcover version from Lulu!